I remember when we first talked about NerfNow. It was back in 2008, a series of 18 pages telling the story of a kidnapped engineer and her heroic rescue. There were very few words in the images. Yet the art was enough to carry the messages of shared struggle, a team banding together, individual battles and unrequited love. Since those heady days, creator Josue Pereira, has diversified his content into many different games and genres. He now frequently appears, as a tentacle monster, in his own drawings choosing to talk directly with his Nerfers. 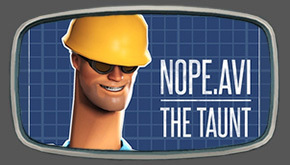 His core remains true to TF2 so we thought it was about time we gave this purple Brazilian tentacle his own interview. This time we decided to ask our audience for questions to ask Jo. We were expecting a few hundred e-mails. Instead we received over one thousand. Just for having your question read out you’d get a KritzKast Lo-Fi Longwave hat (assuming you don’t already have one) but for one incredibly lucky winner the prize was to have their question made into a NerfNow comic strip. Congratulations go to I-ninja. Click on the draft picture above to see Jo’s final render of his question. Thanks to everyone who submitted questions and special thanks to Jo for both allowing us to talk to him and for providing all this great artwork for our site. 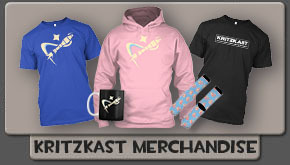 So long as there is Team Fortress 2 there will be KritzKast. What was that TF2 machinima that Josue talked about? I tried googling for “ignosolos”, but found nothing. Oh jo, that accent is awesome, you also liked Legend of Mana, i thought i was the only one here in Brazil. hehe. Nope Light Yagami, I am brazilian too. I like legend of mana too!